…it goes about as well as you’d expect. At least it was a 24-year old female MMA fighter. And at least the grandmother wasn’t coerced into stepping in that ring. In fact, she made a big show of saying that “age is just a number” before going in there, so perhaps a dose of reality might actually be useful and instructive here. 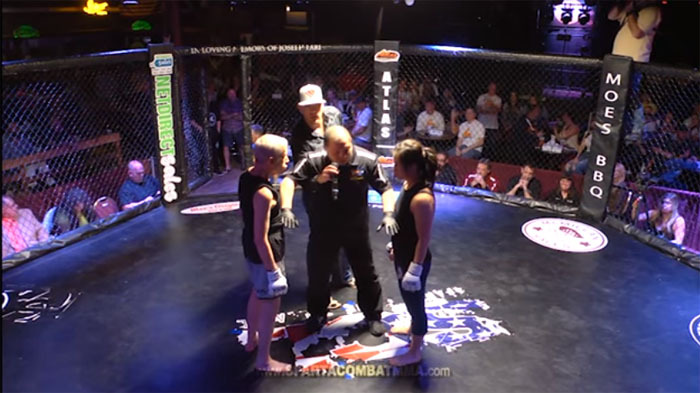 Colorado-based mixed martial arts (MMA) promotion, Sparta Combat League, just took the cake when it comes to putting on mind-boggling fights. And we’re not talking about a“soccer mom” making her MMA debut against a trained fighter. The video isn’t all that gory, but it does make you wonder – who decided this would be worth watching?